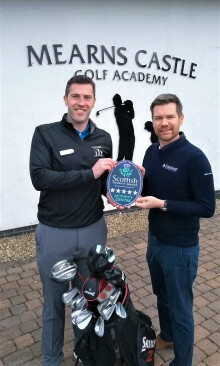 As B&Bs up and down the country prepare to embark on a week-long celebration, dedicated to recognising the hard work of independent hosts, a Highland Perthshire B&B is also marking a special milestone after receiving VisitScotland’s highest Quality Assurance grading. Cuil-an-Duin Country House, near Pitlochry, achieved a Five Star Gold Quality Assurance Award in recognition of its exceptional standards. The country house is the only five-star gold B&B* in the Highland Perthshire area. 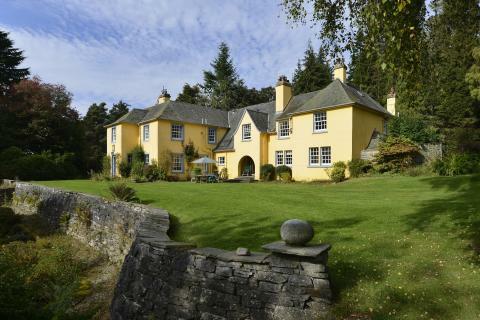 Built as the private residence for the 9th Duke of Atholl, Cuil-an-Duin is a stylish Edwardian country house tucked away in 20 acres of secluded grounds, just south of Pitlochry. Its location makes it an ideal spot to discover the beauty of Big Tree Country and experience the very best of Highland Perthshire’s stunning landscapes, rich history and vibrant culture. VisitScotland’s Five Star Gold Quality Assurance Award recognises serviced accommodation businesses which achieve the highest levels of excellence. Businesses that receive the award excel in areas of customer care and hospitality, showing evidence of a real commitment to development and training. The B&B also boasts a Taste Our Best award for its use of local and quality Scottish produce. Held between 18-24 March, National B&B Week aims to raise awareness of the significant contributions the industry makes to the economy. The UK is home to over 20,000 B&Bs, which generate over £2billion annually. Caroline Warburton, VisitScotland Regional Leadership Director, said: “Congratulations to Cuil-an-Duin Country House B&B on receiving this well-deserved accolade. The award is a welcome boost to the business as well as the region as a whole, raising the standard of Perthshire’s tourism offering. “Developed and improved for over 30 years, VisitScotland’s Quality Assurance schemes are world-leading and provide a trusted, independent and impartial source of information for visitors. They allow businesses to not just meet visitor expectations, but exceed them.”. VisitScotland’s Quality Assurance schemes can open the door to new customers. It is a powerful marketing tool and works well with online review sites in using an independent perspective to measure visitor experience against tried and tested criteria, so visitors know exactly what to expect. Launched in September 2013,Taste Our Best is a joint initiative between the national tourism organisation and the Scottish Government. Assessors rate the overall eating experience, the extent to which Scottish produce (at least 40%) is used and promoted, and staff knowledge of the produce on the menu and its provenance.